Very friendly and welcoming staff! Check-in was easy and the front desk staff was helpful in recommending restaurants in the area. Very nice, fresh and contemporary hotel. Perfect for a one night stay as we traveled. So you're considering a getaway to Rainsville? If you want a place to lay your head that's located close to Rainsville attractions, use Orbitz to pick your travel dates, and then presto! Review the list of hotels and other accommodations to identify those that are near everything you want to see and do. 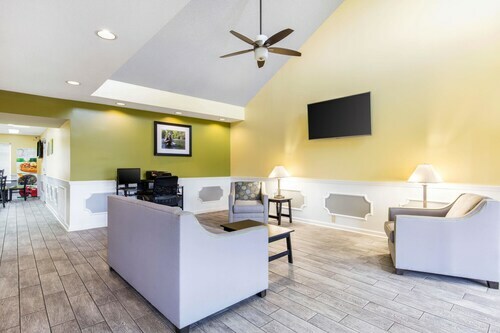 You may not find the perfect place to stay in Rainsville, but you can pick from 84 accommodations within the larger area. Search by filters such as price, neighborhood, guest rating, or popular locations, depending on what's most important to you. We make it easy to find a convenient flight into Huntsville, AL (HSV-Huntsville Intl. ), which is 54.1 mi (87 km) from the heart of the city. Find your ideal flight in a flash by using the filters on our site to narrow down your search. 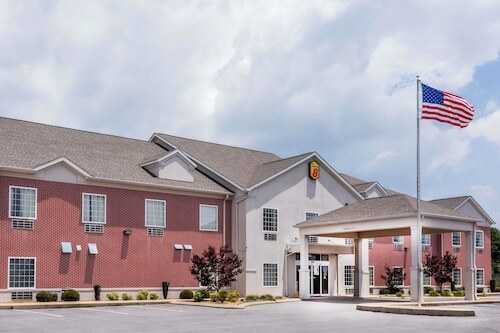 There may be just a few hotels and accommodations to choose from in Rainsville, but here are more options located close by so you have some choices. What's the Weather Like in Rainsville? One pillow had stains and not sure what it was. Did not use it. The pillows are not comfortable at all. But, over all the facilities are very clean. Staff is always extremely nice. And the continental breakfast was a little better this time. Would be nice though to have some scrambled eggs and a meat with it. Most hotels have that now. Charming Tree House Cottage on Lookout Mountain! Brand new Cabin!!! Nicest on the Mountain!! Country Cabin...you Will Love it! Romantic Tree House Cottage - Minutes to Mentone!